Differently from a classic TV stand, television stands with drawers offer a very stylish decoration solution. They look very impressive in the majority of living rooms, creating a stylish, one of a kind atmosphere. In addition, television stands with drawers feature extra storage capacity, which is often a nice benefit for limited size rooms. On the whole, it is possible to find practically any model, and the choice of the best decorative solution for your room will depend on the theme you are working on. As a rule, some of the following suggestions should be enough to help you get started – even if you have absolutely no idea what you are looking for. Wood is always the best idea for traditional rooms. The most important thing is to find that precise shade that would blend in with your current arrangement – or, if you are working on your interior theme from scratch, find the shade that would prove to your liking. If you are fond of light furniture arrangement, take a look at pine or ash. If you like deep yellow shades, consider oak. If you are a fan of brownish wood, walnut may the best choice for you. Here, a lot will depend on the materials (or combinations of materials) you enjoy. Some of the trendiest approaches to interior decoration is high gloss, which looks stylish and dignified at the same time. Plus, many manufactures combine high gloss with glass or LED lights, which also looks very impressive. Glass television stands with drawers are not so easy to find, but they usually look gorgeous in modern rooms. Mixed style is usually created with the help of combining different production materials. 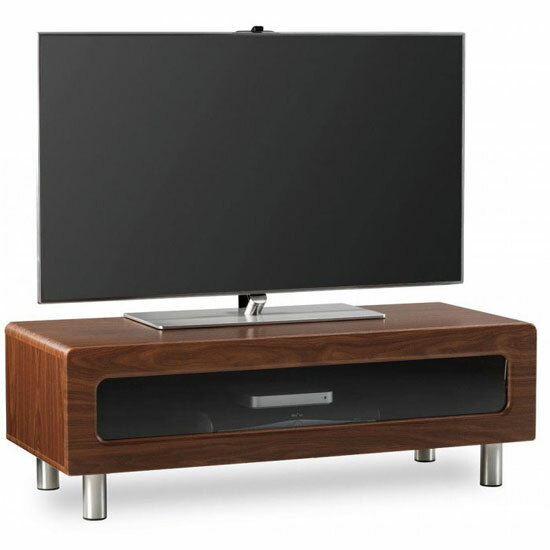 Solid wood stands, for example, can look very stylish if combined with some decorative glass inserts. A lot of manufacturers also combined wood with high gloss, which is a bit unusual, but often – quite impressive. Rustic furniture is usually made of reclaimed oak, which is a very interesting interior decoration solution – especially when it comes to television stands with drawers. If you are looking for a model that combines unusual looks with some of the classic furniture production materials, this could be it. A lot of television stands with drawers feature vintage designs. The styles and the materials here will differ enormously. Yet, any vintage model is a demanding decoration solution, which forces you to carefully weigh over every trifle decoration element in your room. A gorgeous selection of television stands with drawers, designed in all of the above-mentioned materials, as well as some other styles, can be found in Furniture in Fashion store. This is one of the few UK e-commerce platforms that can offer a very vast selection of stylish interior decoration solutions at an affordable cost. Plus, unlike the majority of online stores, this company delivers any purchase within 10 business days maximum. This, however, concerns bulky orders, while compact ones are delivered within 3 business days.